Washington (AFP) – The top US intelligence official said Tuesday that he remains doubtful about an apparent new overture from North Korea to enter into talks on its nuclear capability. 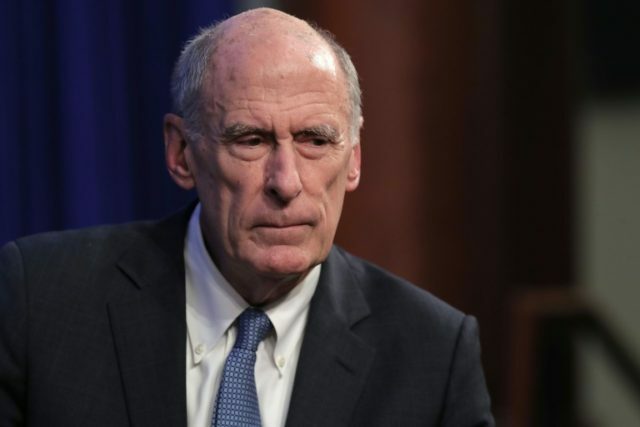 “I’m quite skeptical about all of this,” said Director of National Intelligence Dan Coats after Seoul announced that Pyongyang was willing to discuss giving up its nuclear weapons for American security guarantees. “Maybe this is a breakthrough. I seriously doubt it. As I said, hope springs eternal,” Coats told a hearing of the Senate Armed Services Committee. South Korea’s national security advisor Chung Eui-yong announced the potential breakthrough in Seoul after returning from a meeting with North Korean leader Kim Jong Un, in which the two sides agreed to hold a summit next month in the Demilitarized Zone. Chung said the North is open to “frank” talks with the United States on denuclearization and would suspend missile and nuclear tests while dialogue was under way. Coats said successive US governments have repeatedly made concessions to get North Korea into talks, only to see Pyongyang using that to buy time to develop their nuclear threat capability. In the same hearing, the Pentagon’s top intelligence official, Lieutenant General Robert Ashley, said North Korea continues to build the readiness of its conventional nuclear forces on the heavily armed Korean peninsula. Kim Jong Un “is far different from his father in the level of rigor in their training,” he noted. Kim is taking the readiness for conflict “very seriously,” he said. But Ashley added that the tough economic and political sanctions the United Nations and United States have placed on North Korea are “starting to have an impact” on the country’s military readiness. He gave no details.